Byron Bay is a beachside town in the northeast of New South Wales. Once a tiny town known mostly for its amazing beaches, eccentric shops, and casual, hippy vibe, it’s now a very popular vacation spot for people who are looking for a remedy for their fast-paced modern lives. 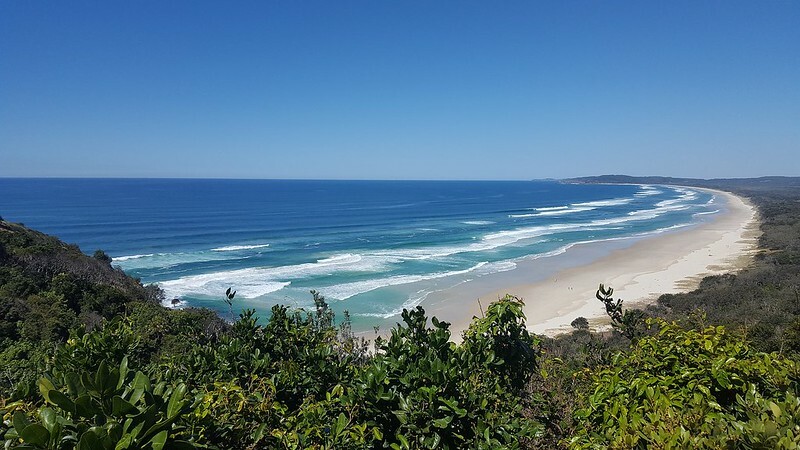 Whether you fall into this category, or if you just enjoy seeing everything that Australia has to offer, it’s worth spending some time in Byron Bay. 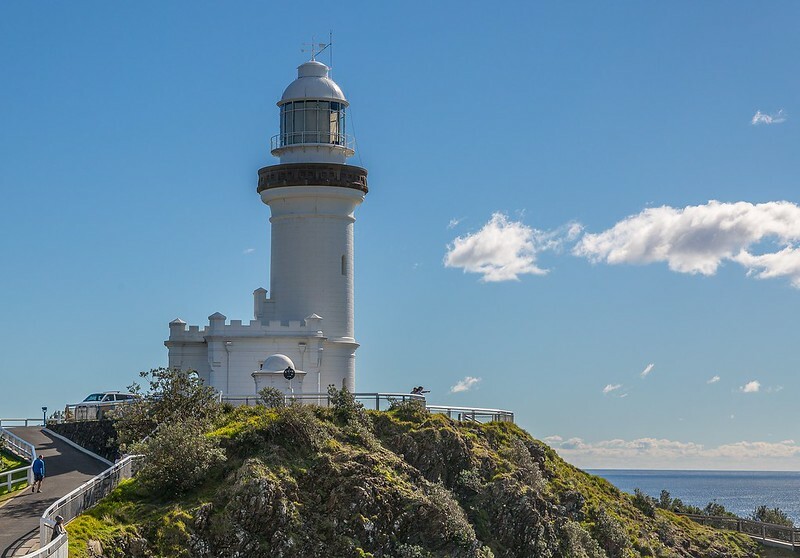 For astonishing views over the water, especially at sunset or sunrise, you can’t beat the Byron Lighthouse. Not only can you stare over the wide expanse of the ocean, you’ll also see the whole town lit up by the gorgeous colors. It’s quite a hike up to the lighthouse, but there are clear trails for you to follow. It’s also well worth the time. Go Scuba Diving or Snorkelling. The waters around Byron Bay are teeming with brightly colored fish and a wide variety of marine life. The high level of aquatic diversity in the area is because of the combination of warm northern waters and cold waters from the south. This makes the area the preferred home for rays, sharks, turtles, eels, and a stunning variety of fish. The area is part of the Cape Byron Marine Park, which extends for 37km along the coast. This is a protected environment, so if you want to do any fishing then you need to get advice about the regulations. However, if you’re just there to spectate, the best way to see it is by actually getting out there and scuba diving or snorkeling. There are lots of places where you can hire the gear you need or take lessons, so there’s really no excuse for missing out. Most tourists to Byron Bay visit Main Beach but this is far from the only place to lay down a towel and soak up the sun. There are 8 other beaches in the area and all of them are worth spending some time on. Try Belongii if you want a beach that isn’t crowded, The Wreck for a beginner’s surf beach where you might get some dolphin companions, and Clarkes if you’re there with the family. The Byron Bay Artisan Market, held every Saturday night from October to March. The Byron Bay Farmer’s Market every Thursday morning. The Byron Bay markets on the first Sunday of every month. Along with the hippy atmosphere of Byron Bay comes a focus on physical, mental and emotional wellness. A good way to find that kind of peace is to have a massage at one of the many massage centers in the area. You’ll walk in feeling tense and walk out again floating over the ground. Byron Bay really is all about the beach. In fact, some of the best surf beaches in the country are in this area, so you can’t leave without at least trying to stand up on a board. And even if you can’t, you’ll take home a great story and some funny pictures too. Byron Bay is filled with people who are free-spirited and creative, which means that the activities are sometimes a little hair-raising. If you’re an adrenaline junkie, or just want to try it once, you can skydive over the town and get a bird’s eye view of the area. This is the perfect way to see the whole town, so find a reputable operator and try it out. Not far from the town of Byron Bay is the Crystal Castle. Originally owned by Australia’s first direct importer of crystals, the site now boasts some of the most beautiful crystals in the world, magical gardens, and a Café where you can sit and enjoy the surroundings. You’ll also get to see the utterly unique Kalachakra World Peace Stupa, a Buddhist shrine blessed by the Dalai Lama. So, if you’re tired of the beach and want to see some amazing rainforest views, this is the place to visit. If you want to take in everything at once, try hot air ballooning. From this vantage point, you’ll see panoramic views of the ‘green cauldron’, with the Mt Warning volcanic caldera in the north and the beaches in the east. You can even take a breakfast trip so you can enjoy a snack while you float up in that perfect stillness. This is obviously a seasonal activity, but it’s one that you really shouldn’t miss. 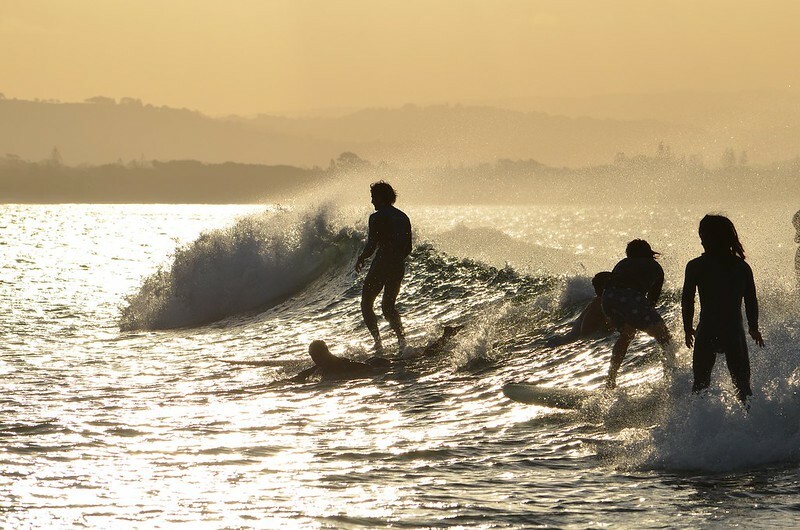 Byron Bay was once a whaling town, but the waters around it are now protected. This has brought back these amazing animals. Between the months of June and November, hundreds of humpback whales pass through the area. And it’s only polite that you take the time to greet them while you’re in their path. 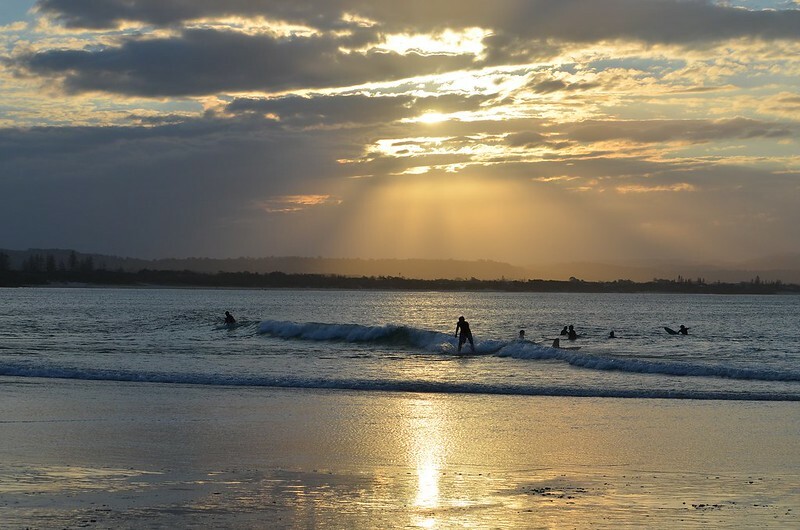 No matter what you’re interested in, Byron Bay has something for every type of traveler. So, make sure you see it now before it gets even more popular! Writer Bio: Gayle Aggiss is a writer and copywriter from Australia. She’s passionate about Travel writing and loves to convey stories through her writing. She currently lives in Perth, Western Australia. I would love to visit Byron!! I’m such a beach person too. I could happily sit there all day or just beach hop. Thanks, you too and have a great weekend! Whale watching would be pretty cool. Haha, I’m glad. One day right! Such wonderful photos! I love seeing lighthouses too. This area is so pretty, especially in summer. Another fun thing to do there is the trapeze school. My husband and daughters all had a go and they loved it. Wow looks like a wonderful place. Love the surfing photo especially. Sounds like a great place to visit. OMG Lorelle, your photos are amazing!